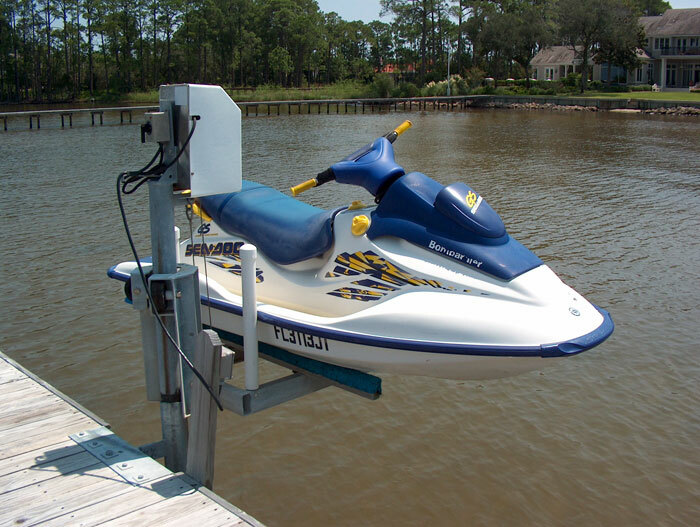 Our personal watercraft lifts are designed to be last with durability and craftsmanship. Read about our personal watercraft lifts below and find out which one will work best for your needs. Our JR1250 lift is our top selling PWC lift. We designed this fully rotating lift years ago, continuously made improvements and it remains a customer favorite! The Galvanized cradle is completely welded together to provide years of worry free lifting. This cradle travels on a static ride pipe that remains in the water. This provides a low profile design (about 4’ off of dock level) maximizing both strength and aesthetics. 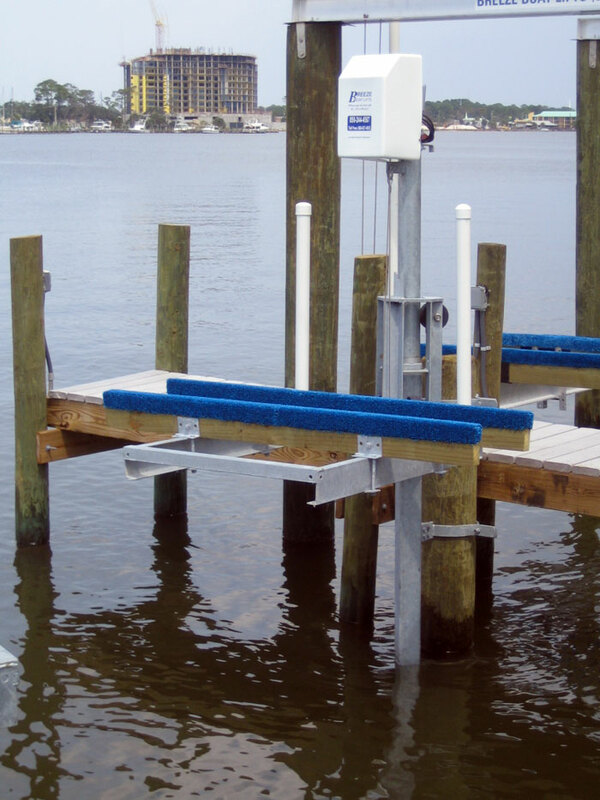 Rated to lift up to 1250 lbs, the Breeze JR1250 is also fully rotational over the dock once it is full lifted. This provides easy access to the watercraft for servicing and maintenance. 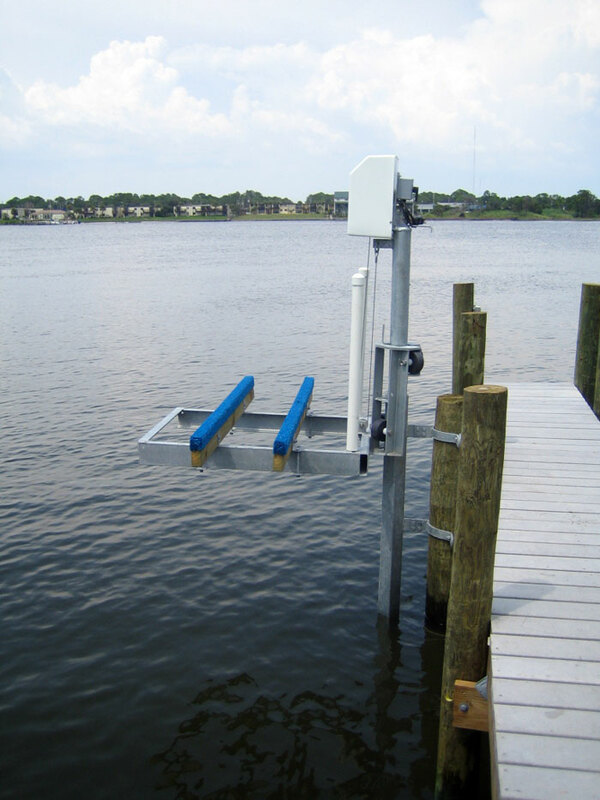 This lift is also a great choice for mounting under a boathouse as there is no long pipe in the air when the lift is fully raised. We feel this adds to the aesthetics of the dock as it is not blocking your view of the water. 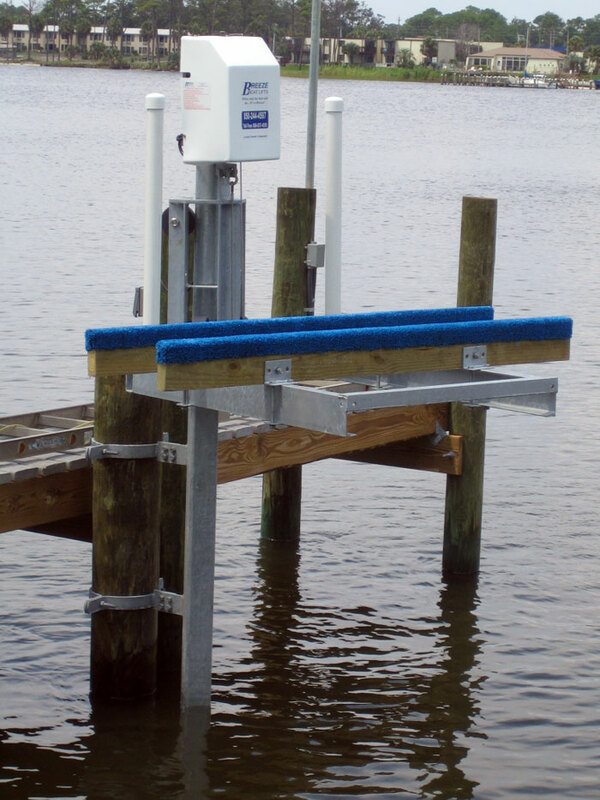 The JR1250 is available with a piling mount (recommended), dock mount or with seawall mount. These big brothers of the JR1250 have also proven themselves to be very popular models indeed. These lifts also incorporate a galvanized cradle that is completely welded together that travels on a static ride pipe. They are excellent choices for multiple watercraft, or small boats.